Go on a quest to defeat the evil overlord threatening your world. Define your people and build the world you must save, together. 834 backers pledged $16,062 to help bring this project to life. From the author of Inverse World and Law's Out! Fellowship is a game about going on an adventure, in the same vein as Lord of the Rings or Wakfu or The Legend of Zelda. The system is loosely based on the Apocalypse Engine, but the game does not feature the typical Game Master that many other tabletop games do. 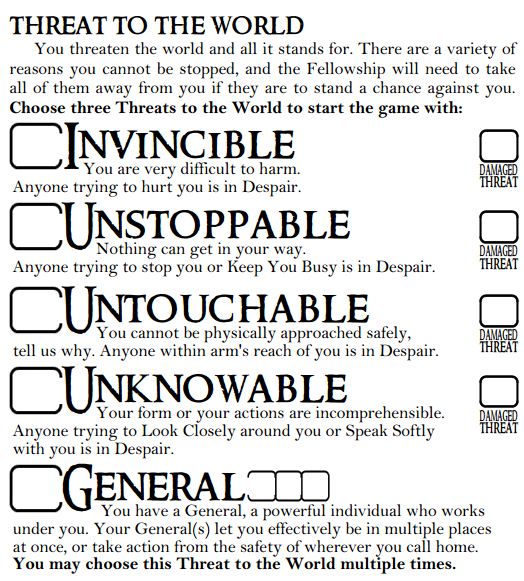 Instead, one player is the Overlord, a maniacal being who has become a Threat to the World, and everyone else forms a fellowship of heroes to stop them. The focus of Fellowship is on the journey you take and the communities you meet, and saving the day is what you're here to do. 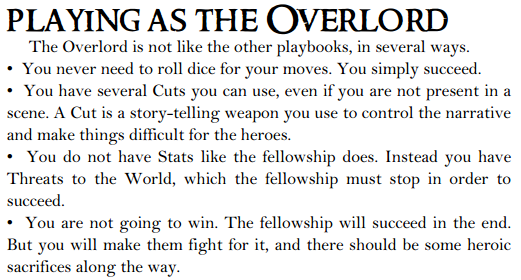 Every single player in Fellowship has a ton of narrative control, taking some of the burden off of the typical game master's job. You are playing as a hero, a champion of your people, and you are the truth in all things related to your people. 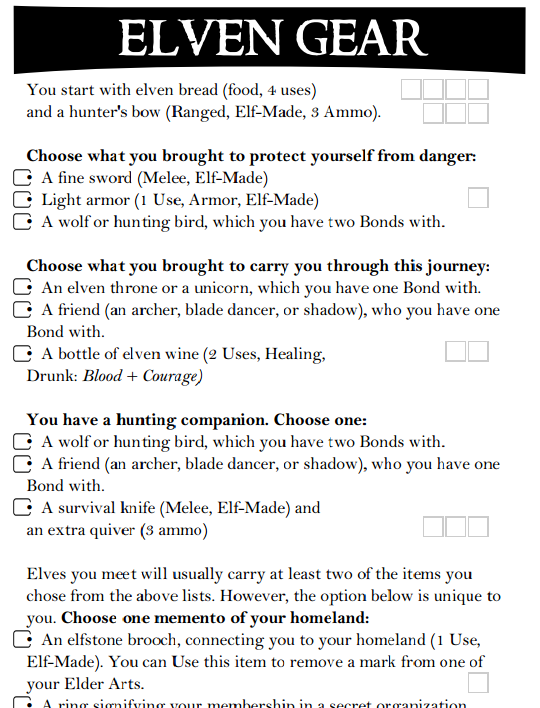 When you play as the Elf, you decide what the Elves are, what their culture is like, what they value and care about, what their relationship is with the rest of the world. When someone asks about the Elves, all eyes will turn to you for the answer. One player is the Overlord, the one attempting to destroy this world, and they create a character just like everyone else does. They also have narrative control over their armies and their culture. They play by different rules than the other players, and will do their best to make sure saving the world is an epic journey and a fun challenge. When you back this kickstarter, you will find a preview version of the rulebook available in the first update post, along with preview versions of the printable playbooks. The playbooks contain all the rules a player needs to know in an abbreviated package, as well as character sheets and moves. There are also example Set Pieces and Destinies available to look at. Set Pieces are large, pre-made encounters that can take up most of or an entire session all to themselves. Destinies are advanced playbooks that the fellowship's heroes can earn as they grow during their quest. $2: Digital Fellowship: Thank you for your support! Your name will be in the back of the book, under a special thanks section just for supporters of the kickstarter. $10: Digital Overlord: You will get the PDF copy of the completed book, expected to be available by February 2016 at the latest. 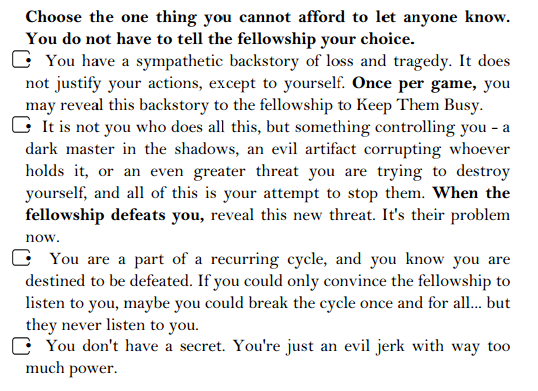 If you have an account on Drivethru RPG, you will also have a back-up copy of Fellowship available there, in case anything happens to your computer. $14: Fellowship Standard: You will get everything the Digital Overlord does, but on top of that, when the book is available, you will receive a coupon code to order your own copy of the book with. This tier gets you a full-color, paperback version of the book. This code will allow you to purchase the book at cost, meaning you only pay for shipping and printing fees. Printing fees are expected to be roughly 7.25 USD, and shipping fees will vary by location. Do not add the 7.25 USD to your pledge. While I would appreciate the extra money, it will not help you get your book. You will pay that amount later, when it is available for print. $18: Fellowship Deluxe: You will get everything the Digital Overlord does, but on top of that, when the book is available, you will receive a coupon code to order your own copy of the book with. This tier gets you a premium full-color, hardcover version of the book. This code will allow you to purchase the book at cost, meaning you only pay for shipping and printing fees. Printing fees are expected to be roughly 28.80 USD, and shipping fees will vary by location. Do not add the 28.80 USD to your pledge. While I would appreciate the extra money, it will not help you get your book. You will pay that amount later, when it is available for print. 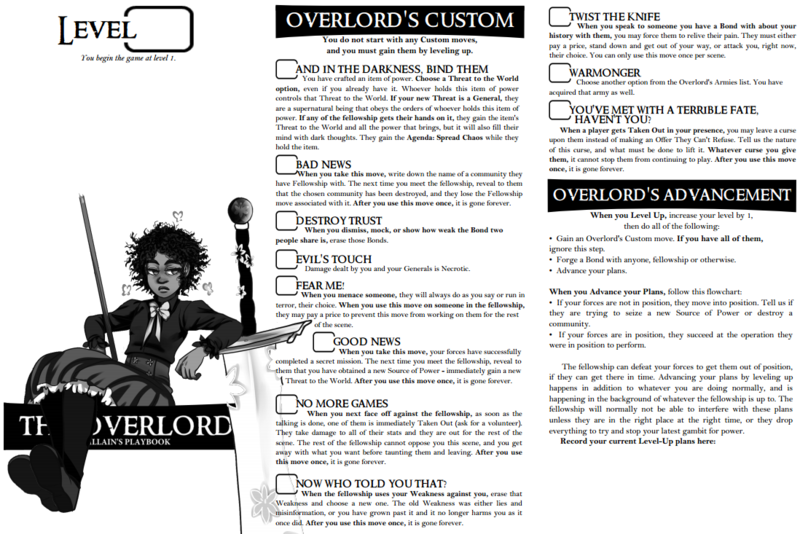 $40: Overlord Standard: You will get everything the Digital Overlord does, but on top of that, you will also get a signed copy of the book! In addition to a signature, I will write a personalized move or note inside the front cover of your book. This tier gets you the full-color, paperback version of the book. Due to the price of international shipping, backers outside of the USA will need to pay $10 extra. I apologize for this inconvenience. $70: Overlord Deluxe: You will get everything the Digital Overlord does, but on top of that, you will also get a signed copy of the book! In addition to a signature, I will write a personalized move or note inside the front cover of your book.This tier gets you the premium full-color, hardcover version of the book. Due to the price of international shipping, backers outside of the USA will need to pay $10 extra. I apologize for this inconvenience. The Overlord tiers will not get a coupon code. Your books will be mailed out to you from me directly. As such, they will take a month or two later to arrive, and you will not need to purchase anything else after the kickstarter has funded to receive your physical copies. $150: Minion of the Overlord: You will get everything in the Overlord Deluxe tier, and you will also get to collaborate with me on a Set Piece that will go in the final version of the book! A Set Piece is a large, pre-made encounter that will potentially take an entire session to handle. They are boss fights, difficult stretches of the journey, unique challenges, and other such hardships. You can see three example set pieces by clicking here. After funding has completed, anyone backing at this tier will get a full list of all existing Set Pieces, and you will have until the end of November to send me what you want your Set Piece to be. I will do the heavy lifting on the design and balancing work, and do my best to make your idea a reality. Sending sooner is better, as that way we can have a back and forth on the implementation of your Set Piece before the deadline. $250: Champion of the Fellowship: You will get everything in the Overlord Deluxe tier, and you will also get to collaborate with me on a Destiny that will go in the final version of the book! A Destiny is an advanced playbook that a player will unlock by doing certain things. They grant you access to stronger moves and abilities and represent the ways your hero has diverged from being a simple Elf or Halfling. Destiny moves are stronger and/or more versatile than the moves in the basic playbooks, and they are extremely powerful. You can see three example Destinies by clicking here. After funding has completed, anyone backing at this tier will get a full list of all existing Destinies, and you will have until the end of November to send me what you want your Destiny to be. I will do the heavy lifting on the design and balancing work, and do my best to make your idea a reality. Sending sooner is better, as that way we can have a back and forth on the implementation of your Destiny before the deadline. NEW! $1001: Rig The Vote: The reward for this new tier is up to three copies of the book, signed, in any combination of softcover or hardcover you'd like. But more importantly, this new tier covers half the cost of a Voter playbook by itself, so you get a bonus reward: Before the Vote goes up, you'll get to pick one of the playbooks, and it's in. This reward has only one slot, so grab it quick! This will eat up one of the playbook slots we've already funded to this point, so if someone backs at this level and we don't hit 16k, then they get to pick one playbook to be in and everyone else will vote for one playbook from the remainder. For every two Voter stretch goals we fund, I'll add another slot to this backer tier. So if we hit 18k, I'll add a second slot in, and if we hit 22k, I'll add in a third, so at least half of the voter slots will always be up for democracy. As our funding goals are met, these next few banners will light up! At this level, the project is fully funded! Thank you, everyone, for making Fellowship possible! At this level, I will be able to go above and beyond and commission even more gorgeous artwork for this book! I already paid for two paintings from the extremely talented Maddi Gonzalez, but I'd like to be able to get 5 more - one for each other playbook in the book. At this tier, that will become a reality! 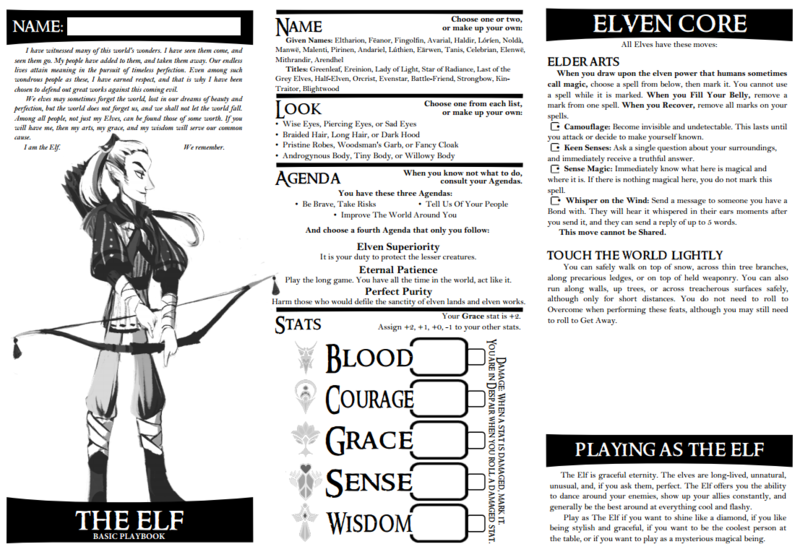 The Elves - each elf shown here is a potential Elf character for the Fellowship. The Orcs - each orc shown here is a potential Orc player in the fellowship. At this level, I will create an eighth fellowship playbook - The Giant. The Giant will not be included in the core book, but will be a separate PDF document with the new playbook, including new companions, new fellowship moves, new threats, one new Destiny, and a painting of four Giants by Maddi Gonzalez. Every backer of this kickstarter will receive a copy of The Giant when The Giant is completed. 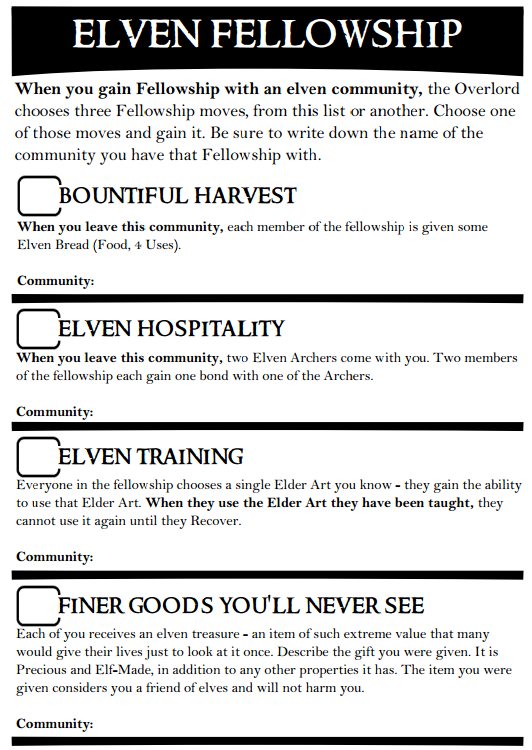 At this level, I will create another new playbook for The Fellowship, and what that playbook is will be up for a vote! 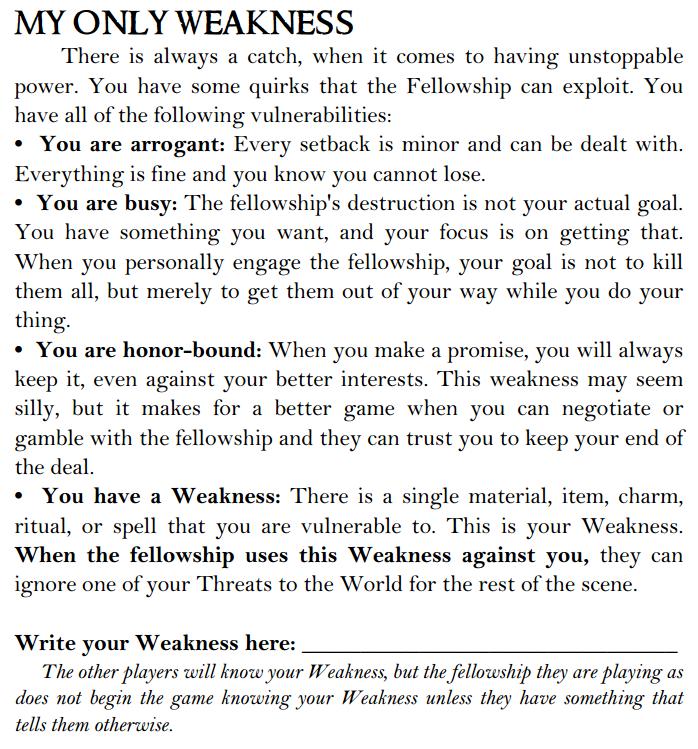 This playbook will not be included in the core book, but will be a separate PDF document with the new playbook, including new companions, new fellowship moves, new threats, one new Destiny, character art by H.P. Heisler, and a painting by Maddi Gonzalez. Every backer at the Digital Overlord level and above will receive all of this content in a digital PDF, upon the playbook's completion. The Constructed, for playing as a hero who was created or built for this mission. They would be based heavily on Inverse World's Golem playbook. The Dragon, for playing a descendant or chosen one of the great dragons, blessed with their power. This playbook would be all about fire and burning things, with fire magic and brute force. The Elemental, for playing as a being not of flesh. Fire, or acid, or blood - you are of an unusual composition and your people are unlike any other. They would be based lightly on Inverse World's Rainlord playbook. The Hatchling, a monster who has grown attached to someone in the fellowship and has the power to help them. The Lizardfolk, a reptilian people who are famed hunters and sneaks. Chameleon people, kobolds, komodo dragons, etc. The Pair, which would be about playing as two heroes who are completely inseparable. Their core move would be about being in two places at once. The Remnant, for playing as the hero of a people long since dead. You are what's left of what once was, but this world is still yours to save. The Spider, for playing as bug people with cool bug powers. 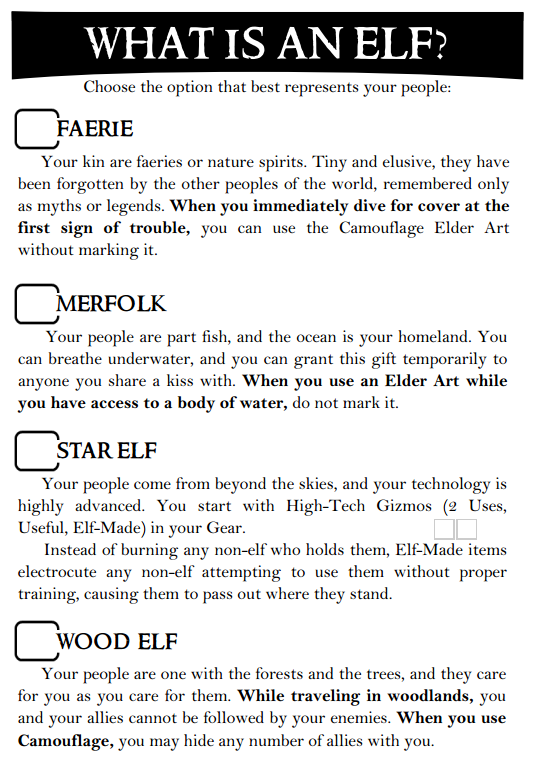 This playbook would be based lightly on The Drider playbook I wrote for Dungeon World. At this level, the second highest voted playbook will also be made, with all the same contents and qualifiers listed in the first vote playbook. 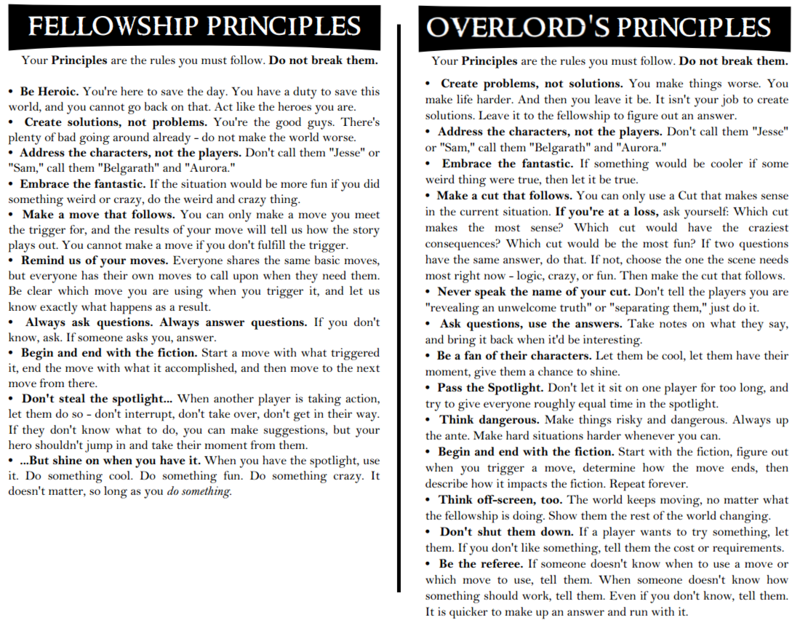 At this level, the third highest voted playbook will also be made and given to all Digital Overlord backers and above. At this level, the top four playbooks will be made and given to all Digital Overlord backers and above. At this level, the top five playbooks will be made and given to all Digital Overlord backers and above. At this final level of democracy, the top six most highly voted playbooks will be made and given to all Digital Overlord backers and above. If this level is reached, a second Overlord playbook will be made, and the contents of all previous stretch goals will be compiled into a second Fellowship book. Fellowship: A Stranger Tale will contain The Giant, the six voted-for playbooks, new art, new enemies, new Set Pieces, new Destinies, and the new Overlord playbook, The Empire. All backers at the Digital Overlord level and above will receive a PDF version of this book upon its completion, as well as drafts of the book as it comes along. If this goal is met, you will be able to add-on to your pledge to get a coupon code for a print version of the book, available in both paperback and hardcover. The paperbook add-on code will cost $5, and the hardcover add-on code will cost $15.MSRP for the book will be the same as for the first book. The primary risk of this project is that I am a single person running it. If anything should happen to me, it is unlikely anyone else would be able to finish the project. I will try to take care of myself. The Fellowship book itself is already nearly complete, and only requires a small amount of additional writing and artwork to finish. I need this kickstarter primarily to have the funds for rent and food while I finish - whether or not the kickstarter succeeds, Fellowship will almost certainly see the light of day as a finished book, as it is very near completion already. With this kickstarter, I will be able to make it the best book it can be! In my previous kickstarter, Inverse World, I had pledges for detailed notations and artwork within the book, but fulfilling those proved to be incredibly difficult for a variety of reasons. To remove that risk from this kickstarter, I have gone with the significantly simpler Signed Copies tiers, which will have a much simpler journey ahead of them - The printers, to my own two hands, and then out to you. Fulfillment in the Inverse World kickstarter was handled through Drivethru RPG, and this project is doing the same. It is a supplier I have a lot of experience with, and their print on demand feature prevents overproduction issues. To streamline the process of getting books from DTRPG to you, all of the cheaper tiers do not require you to send me your address and me to order the books for you - you will order them yourself when they are available, at the cheapest price possible. The DTRPG printing code will allow you to print the book at cost, for the maximum in efficiency and savings. Digital Fellowship: Your name will be in the back of the book as a contributor. Thanks! This bonus is included in every higher tier. Digital Overlord: You get the Fellowship PDF delivered to your email and a backup copy available on Drivethru RPG. You will also get a digital version of any and all stretch goals that are not added to the core book. 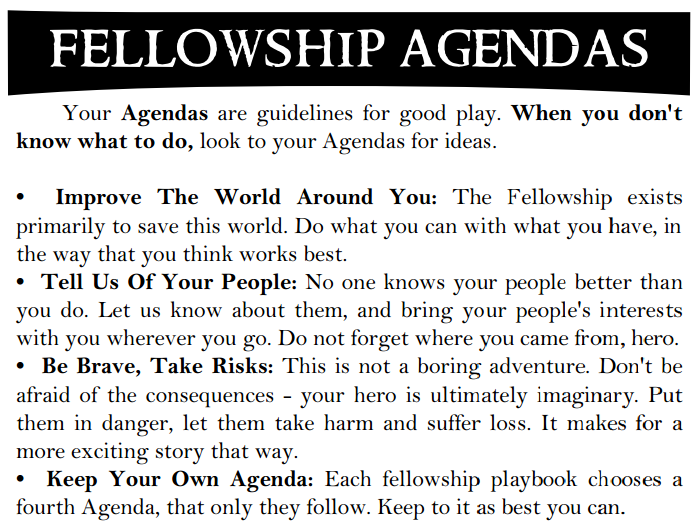 Fellowship Standard: You get the Fellowship PDF delivered to your email and a backup copy available on Drivethru RPG, and you get paperback copy of the book*! You will also get a digital version of any and all stretch goals that are not added to the core book. *You will pay shipping and printing costs for the book when it is available. Printing cost will be roughly 7.25 USD, shipping will vary by location. MSRP after the kickstarter will be 25 USD. 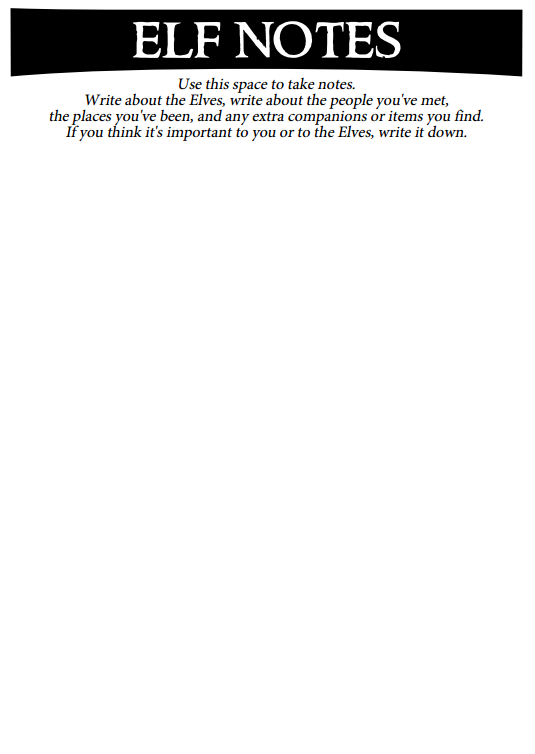 Fellowship Deluxe: You get the Fellowship PDF delivered to your email and a backup copy available on Drivethru RPG, and you get deluxe hardcover copy of the book*! You will also get a digital version of any and all stretch goals that are not added to the core book. *You will pay shipping and printing costs for the book when it is available. Printing cost will be roughly 28.80 USD, shipping will vary by location. MSRP after the kickstarter will be 50 USD. Overlord Standard: You get the Fellowship PDF delivered to your email and a backup copy available on Drivethru RPG, and you get a signed copy of the paperback version of the book! You will also get a digital version of any and all stretch goals that are not added to the core book. Overlord Deluxe: You get the Fellowship PDF delivered to your email and a backup copy available on Drivethru RPG, and you get a signed copy of the hard-cover deluxe version of the book! In addition, you will also get any and all stretch goals we meet that are not added to the core PDF. Minion of the Overlord: Everything in the Overlord Deluxe tier, and you also get to collaborate on a Set Piece to be added to the core Fellowship book! See description for details. 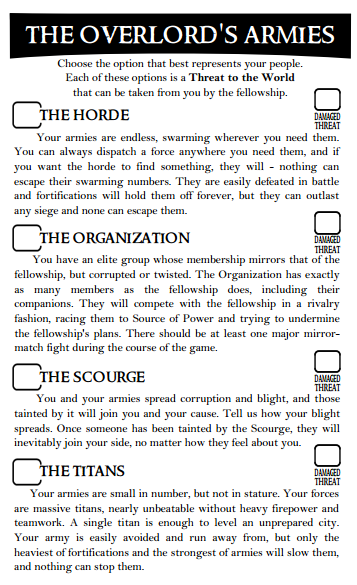 Champion of the Fellowship: Everything in the Overlord Deluxe tier, and you also get to collaborate on a Destiny to be added to the core Fellowship book! See description for details. Rig The Vote: You get up to three signed copies of the book, in any combination of Softcover and Hardcover you'd like, mailed right to you! But more importantly, you've Rigged The Vote: Choose one of the Vote playbooks, and it's in. This will take up one of the vote slots we have funded to this point.